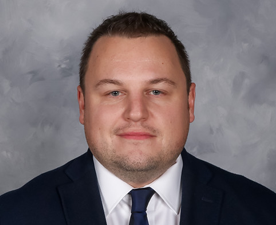 Tyler Kurz joined True North Sports + Entertainment in 2018 as Vice President, Business Intelligence. Prior to joining True North, Tyler held several positions at Bell MTS over the past 15 years. Most recently, Tyler was the Director of Data & Analytics managing a team of data professionals supporting multiple stakeholders. Tyler brings his passion for data to True North, providing leadership in the areas of Business Intelligence and IT. Tyler was born and raised in Winnipeg and attended the University of Manitoba, earning a Bachelor of Commerce Degree. Outside of work, when not spending time with his wife Lindsay and daughter Ruby, he enjoys playing hockey and golf, reading, and going to see live music.